Expand your UniFi Video surveillance system with the versatile G3-FLEX camera. Manufacturer: Ubiquiti Networks, Inc. Manufacturer Part Number: UVC-G3-FLEX. Brand Name: Ubiquiti. Product Line: UniFi. 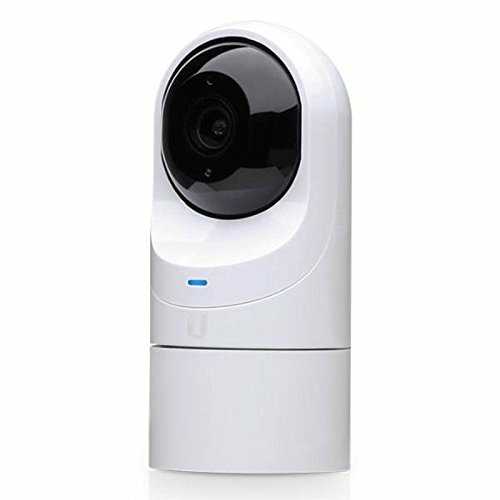 Product Name: UniFi Video G3-FLEX Camera. Packaged Quantity: 1. Product Type: Network Camera. [Technical Information] HD Recording: Yes. [Display & Graphics] Color Supported: Color. Effective Camera Resolution: 2.1 Megapixel. [Video] Maximum Video Resolution: 1920 x 1080. [Network & Communication] Connectivity Technology: Cable. Remote Management: Yes. [Interfaces/Ports] Network (RJ-45): Yes. [Physical Characteristics] Placement: Surface Mount. Pole Mount. Wall Mount. [Miscellaneous] Package Contents: UniFi Video G3-FLEX Camera Wall Mount Pole Mount Flat Surface Mount .